Agva is a real unique heaven in which you can taste fresh and delicious fishes. If you desire you can catch, buy or make a preference from menus of restaurants according to your taste. Fish resultants in Agva are generally on Yesilcay River. Do not forget to give bread to ducks and fishes that swim in this river when you are eating in these restaurants. 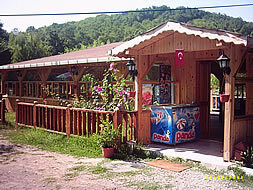 It is possible to find tandir kebab, quail, chicken and other grill options in addition to fishes. Most of the hotels in Agva give service as restaurant and bar at the same time. Especially, drinking wine when you are eating your fish around the tables established on wharfs of the hotels that are near Göksu River gives a separate pleasure. At the same time each of these hotels has a covered big restaurant that is decorated with care and has a fireplace. There are indoor restaurant with 80 persons capacity and outdoor garden with 150 persons capacity. 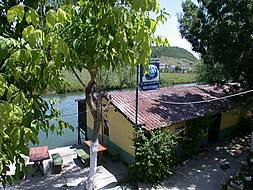 You can find fishes such as gilt head bream, sea bass, grilled meats also special manti, gozleme and breakfast. There are also some activities like live music, trekkings, hammocks, playground, backgammon, football.